Direct Subfloor Airflow Where You Need It. Eziblank subfloor airflow control panels have a unique design with universal appeal. These panels offer a simple low cost way to lower your PUE and compliment data centre cooling efficiency strategies. Eziblank subfloor panels offer total flexibility and allow you to create custom air walls right where you need them. 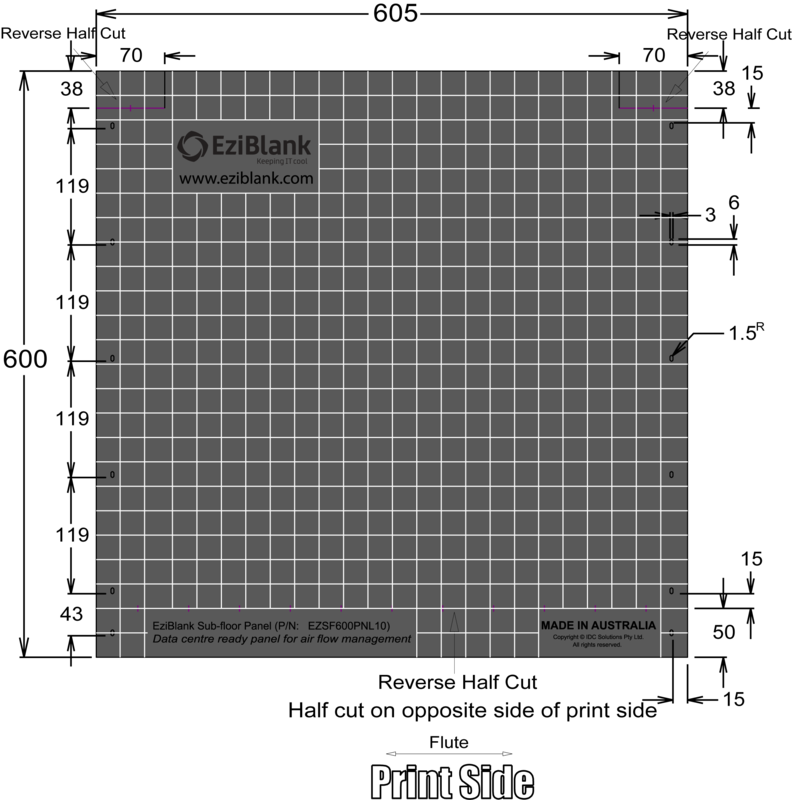 Localised barriers or full length segregation, Eziblank subfloor panels can cater for any environment. Eziblank subfloor panels are supplied as single sheets ready to install direct to the raised floor framework. Clever folds and pre-punched mounting holes allow these panels to be installed in minutes. 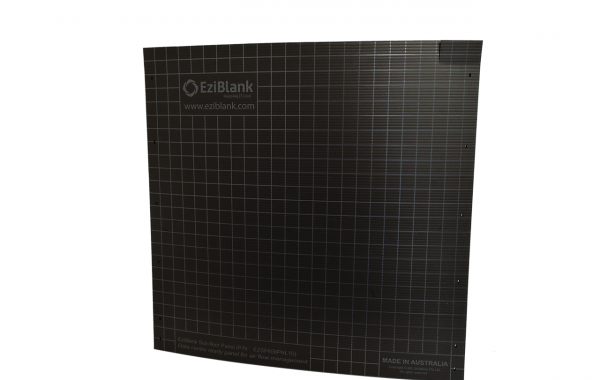 Easy to measure and cut, these Eziblank subfloor panels can be quickly installed around any underfloor obstacles such as cable trays and piping, providing a high quality seal and finish.